Feilden Clegg Bradley Studios (FCBS) wins the design competition for the renewal of Manchester Cathedral and expansion of its facilities. We are thrilled to announce that we have been selected as lead architect for the £7m West End Development at Manchester Cathedral. The competition organised by Dooley Associates sought an ‘aspirational and symbolic’ design to ‘preserve and enhance’ the cathedral’s west façade. 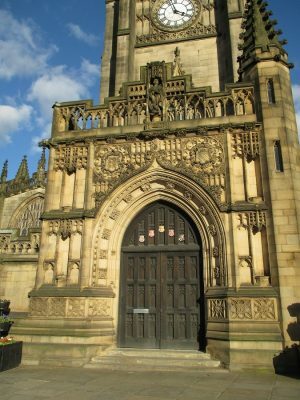 The project will create new offices, retail, storage and toilet facilities within the Grade I-listed building and include public access to the cathedral’s 40 metre-high tower. Development of this historic building will help it to become a more recognisable symbol within Manchester, creating a medieval tourist and cultural quarter for the city. Dooley Associates’ managing director, Brendan Dooley, commented: “The response to the tender for the Cathedral West End project was phenomenal and following detailed interviews with five practices, the panel selected Feilden Clegg Bradley Studios as one of two practices that stood head and shoulders above the rest”. FCBStudios will now work with the client to develop the design toward a Heritage Lottery Fund (HLF) bid to be submitted later this year with a planned completion on its 600 year anniversary in 2021. Feilden Clegg Bradley Studios have offices in Bath and London. 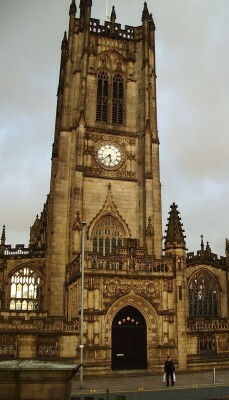 Manchester Cathedral design contest to redevelop its historic west end. Deadline for requests to participate was 30 October 2015. This architectural competition an ‘aspirational and symbolic’ design to ‘preserve and enhance’ the cathedral’s west façade. Dooley Associates are leading a £15m regeneration programme. 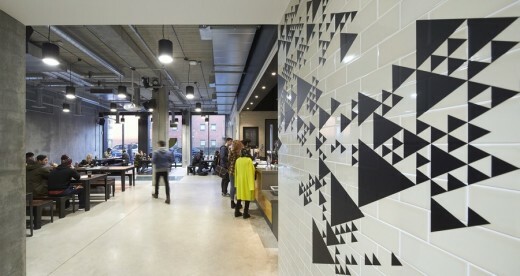 This includes a new lighting and sound installation designed by BDP, headquartered in Manchester. A £3m visitor centre designed by Hurd Rolland Partnership was completed in 2002. It features a restaurant incorporating the remains of the 15th century ‘Hanging Bridge’. Ed – on a personal note I would occasionally attend Evensong here as an architecture student in the city, the building is better inside than out, the scale of the building simply doesn’t match the size of the city. It is a fairly small cathedral and lacks drama.